As a course Business Organization and Management is very interesting to us and we have learnt much about the Organization and Management of an organization. But we do not know how they are applied in the real lives. To find this out i.e. how they are applied in the real lives we were given this case study. For completing this project we needed information and to extract information we had to choose reference books and official website of Kodak. Taking information from them we have made our efforts to point out what are the asking of this case study and try to solve the problem according our best effort. Eastman Kodak Co. has a really big problem. The photographic film business that sustained one of the world’s great brands for more then a century is headed the way of the daguerreotype. Digital cameras and images are the new market; in order to survive, Kodak must transform itself into a digital products and services company to replace the revenue lost as its traditional markets dwindle. Last year, nearly 61 percent Kodak’s $ 13.5 billion in revenue came from its traditional businesses, including film, paper and the non-digital products used in its healthcare, graphic communications and commercial imaging segments. But the first quarter of 2005 was terrible, with total revenue of 3 percent and net operating losses of $ 143 million. The company expects sales from traditional business to drop another 17 percent this year, due in large part to the decline in demand for film. The good news is that consumer digital sales are racing in the opposite direction, up 44 percent last year. Kodak shift nearly 5 million digital cameras to pass Sony Corp: as the digital camera vendor into 2004. And Kodak’s revenue digital products are expected to surpass film revenue by the end of this year. But there a cloud around that silver lining, Margins of digital products are much thinner then those on film, typically 10 percent for digital cameras verses 60 percent to 80 percent for film. So replacing a Dollar of lost film revenue with an equal volume of digital sales still leads to lower profits, making the growth challenge even more argent. To balance the old business with the new, says Kodak Chief Information Officer and Vice president Kim Van Gelder, “We need to drive down cost dramatically and drive up growth.” The challenge is to execute on both cost cutting and innovation concurrently. Information Technology”, she says, “is fundamental to both,” and the dual imperative is redefining her role at the company.”It feels like a different job, to simultaneously manage both a decrease in costs and to focus IT across the globe on changing processes and products as we grow “. Other CIOs are filling the same pressure as companies move beyond the belt tightening of the post bubble era. “There has been a huge shift over the past 18 months, from a focus on cost to a focus on growth,” says Graham Waller, and analyst with Gartner Inc. Delivery project promote business growth was the top issue cited by CIOs in a recent Gartner survey. “The leading IT organizations are doing more to support innovation,” says Waller. In another resent survey of business and technology executives by Bain and company, 86 percent of despondences agreed that innovation is more important then cost reduction for long term success, with 89 percent saying that IT can create significant competitive advantages. Kodak start with the slogan “you press the button, we do the rest,” George Eastman put the first simple camera into the hands of a world of consumers in 1888. In so doing, he made a cumbersome and complicated process easy to use and accessible to nearly everyone. Since that time, the Eastman Kodak Company has led the way with an abundance of new products and processes to make photography simpler, more useful and more enjoyable. In fact, today’s Kodak is known not only for photography, but also for images used in a variety of leisure, medical, business, entertainment and scientific applications. Its reach increasingly involves the use of technology to combine images and information–creating the potential to profoundly change how people and businesses communicate. Just as Eastman had a goal to make photography “as convenient as the pencil,” Kodak continues to expand the ways images touch people’s daily lives. The company ranks as a premier multinational corporation, with a brand recognized in virtually every country around the world. Kodak Ventures Group exists, in part, to leverage the disruptive technologies that drive the burgeoning growth of the info-imaging industry. Kodak is a leader in the info-imaging industry, a $385 billion industry created by the accelerated convergence of image science and information technology in ways that were previously impossible. Images can contain more data—and different types of data—making them a universal medium for the info-imaging age. Today, info-imaging unites three closely related imaging markets—devices, infrastructure, and services/media. Info-imaging enables consumers and businesses to easily use images as a fast and effective way to communicate. Info-imaging presents significant new revenue opportunities for any company that delivers value through the marriage of information and images. The first annual Global 100 Most Sustainable Corporations in the World was launched during the World Economic Forum in Davos, on January 28, 2005. A company that makes the Global 100 literally means that it is part of a select group (companies whose sustainability performance falls within the top five per cent of their sector) chosen from a universe of 2000 of the world’s largest corporations. Of these 2000 companies across 53 sectors, The Global 100 are sustainable in the sense that they stand the best chance of being around in 100 years because of their demonstrated performance and strategic ability to manage the triple bottom line (society, environment, and economy). The definition of a “sustainable corporation” is a subject of considerable debate. Eastman Kodak Co. (United States) who produces leisure Equipment & Products has taken place twenty nine in that list. Kodak conducts its business activities to high ethical standards. Kodak respects internationally accepted legal principles, and obeys the laws of countries in which it does business. Kodak is committed to sound corporate governance. In this regard, the Company’s diverse, independent Board of Directors has adopted publicly available governance principles. Kodak conducts its business activities in an environmentally responsible manner. Kodak respects the privacy rights of its employees, customers, and suppliers. Kodak promotes a work environment of equal opportunity for all employees, and treats its employees in a non-discriminatory manner. Kodak is committed to employing a diverse work force, and to building and maintaining an inclusive work environment. Kodak maintains a safe and healthy work environment. Kodak respects its employees’ workplace right of association. Kodak will not establish or maintain a business relationship with any supplier if Kodak believes that the supplier’s practices violate local laws or fundamental principles relating to labor standards or environmental protection. Kodak is sensitive to the economic development priorities of the developing countries in which it does business. Kodak maintains a philanthropic program that reflects its global corporate goals in community development, recruitment, technology access, business opportunity, and quality of life. All of Kodak’s people at Kodak work from a set of core values, and they are proud to say that their resulting personal conduct allows for an environment that is free from inappropriate pressures and diversions. The photographic film business that sustained one of the world’s great brands for more then a century is headed the way of the daguerreotype. Digital cameras and images are the new market; in order to survive, Kodak must transform itself into a digital products and services company to replace the revenue lost as its traditional markets dwindle. Last year (2004), nearly 61 percent Kodak’s $ 13.5 billion in revenue came from its traditional businesses, including film, paper and the non-digital products used in its healthcare, graphic communications and commercial imaging segments. But the first quarter of 2005 was terrible, with total revenue of 3 percent and net operating losses of $ 143 million. The company expects sales from traditional business to drop another 17 percent this year, due in large part to the decline in demand for film. This is a serious problem of Kodak. Because they have some major challenges to face in the future market and these problems should be solved by the total management (top to bottom) of the Eastman Kodak Co.
Kodak has to increase their sale of digital product to exist in the market and so also they have to make change in their management to face the current problem. Since the demand of the traditional photographic products are decreasing so they have to target that what is the current demand of the market. Currently the digital photographic product are attracting people and for that reason Kodak should use this opportunity to exist in the market and to make the revenue and growth rate of the organization balance like the previous years. According to Kim Van Gelder Chief Information Officer and Vice president of Kodak to balance the old business with the new Kodak need to drive down cost dramatically and so also drive up growth. The challenge is to execute on both cost cutting and innovation concurrently information technology. Current situation is that last year (2004), nearly 61 percent Kodak’s $ 13.5 billion in revenue came from its traditional businesses, including film, paper and the non-digital products used in its healthcare, graphic communications and commercial imaging segments. In the first quarter of this year (2005) was terrible for them. They earned total revenue of 3 percent and net operating losses of $ 143 million. The company expects sales from traditional business to drop another 17 percent this year, due in large part to the decline in demand for film. The good news for Kodak is that sales of digital product are racing in the opposite direction, up 44 percent last year. Kodak shift nearly 5 million digital cameras to pass Sony Corp: as the digital camera vendor into 2004 and Kodak’s revenue of digital products are expected to surpass film revenue by the end of this year. But there is a cloud behind the silver lining, Margins of digital products are much thinner then those on films, typically 10 percent are for digital products verses 60 percent to 80 percent for traditional products. So replacing a Dollar of lost film revenue with an equal volume of digital sales still leads to lower profits, making the growth challenge even more argent. 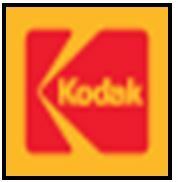 The company has been called Eastern Kodak Company since 1892, when Eastern Kodak Company of New York was organized. In 1901, the present firm – Eastman Kodak Company of New Jersey – was formed under the laws of that state. ü Foster growth and development though continuing research. ü Treat employees in a fair, self-respecting way. ü Reinvest profits to build and extend the business. Kodak’s history is one of progress in developing these basic principles and policies. Today, we are experiencing that the next step in the evolution of communications through the pictures. Imaging science is converging with information technology to create new and exciting ways to capture and use images. This has the potential to profoundly change the way people and businesses communicate and work together. To that end, Kodak is poised to create new ideas and applications – some of which we can not even imagine today, and others that are already appearing in the marketplace. Organic Light Emitting Diode (OLED) displays initially developed by Kodak in the late 1980s, this technology involves self-luminous pixels, and does not require backlights used with liquid crystal displays. This offers clearer images, increased brightness and lower energy consumption when used in digital cameras, mobile phones, and other electronics devices. In addition to a going OLED manufacturing venture with Sanyo, Kodak licenses OLED technology to various display and device manufactures around the world. Wireless imagining will expand people’s ability to capture and transmit images. Today, imaging capability is becoming common in wireless like cellular phones. Product is developing systems that not only allow people to capture images using their cell phones, but also to transmit and print those images at picture kiosks. As new capabilities arise, the biggest decision for Kodak and other imaging companies will be choosing the opportunities to pursue. Kodak is pursuing the new challenges of the century. What we have experienced up to today’s time that the business of photographical products have changed vastly and the quality of these product has improved a lot. People are using those things which were not in the imagination of them just ten years back. Identify opportunities where Kodak technology platforms and industry standards dovetail with emerging businesses’ innovations. Evaluate proposals and concepts for their potential to become double-digit growth generators. The Kodak Ventures Group is investing to fuel the future of info imaging. These technologies will redefine the ways we capture and share information, such wireless technologies that send pictures from a digital camera to a computer more swiftly than ever. Display technologies that place brighter viewing screens in handheld and mobile electronics with less power consumption and longer life. Advanced networking platforms bring health care professionals together. Since the Kodak has to solve their current problem to exist in the market so what can they do to solve these problems? Kodak can solve the problem by adopting some managerial functions and so also adopting management structure of the entire organization. They can apply and practice these to solve the problem. Kodak can apply innovation to solve their current problem. Innovation process is the systematic development and practical application of new idea. These are three stages of innovation. A great deal of time consuming work is necessary to develop a new idea into a marketable product or service. 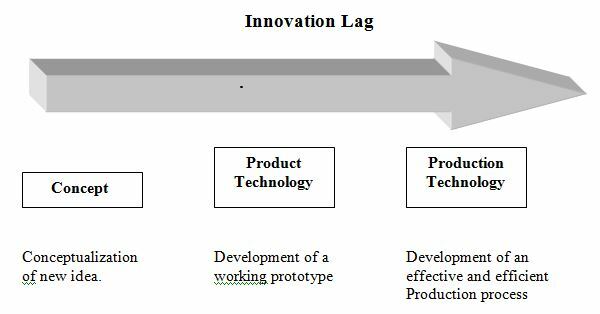 Innovation process can be define as a great deal of time consuming work is necessary to develop any new idea into a marketable product or service and many otherwise good ideas do not become technologically feasible, let alone marketable and profitable. According to one innovation expert, “only one of every 20 and 25 ideas ever becomes a successful product-and of every 10 or 15 new products, only one becomes a hit.” A better understanding of the innovation process can help improve management’s chances of training new ideas into profitable goods and services. This is the first step of innovation. Conceptualization means when a new idea occurs to someone means the conceptualization. Development of working prototype is the second step, called product technology. This involves actually creating a product that will work as intended. The third and final step is developing a production process to create a profitable quantity, quality, price relationship. This third step is labeled production technology. 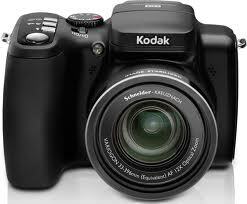 Innovation may be the appropriate process for the Kodak to solve the current problem of Kodak. In a resent survey of business and technology executives by Bain and company, 86 percent of despondences agreed that innovation is more important then cost reduction for long term success. Kodak can survive by applying cost reducing for temporarily but to solve it permanently they should apply innovation in their organization. Controlling means when managers compare desired results with actual results and take the necessary corrective action, they are keeping things on track. Deviation from past plans should be considered when formulating new plans. Successful managers detect deviations form desirable standers and make appropriate adjustments. Those adjustments can range from ordering more raw materials to overhauling a production line; from discarding an unnecessary procedure to hiring additional personnel; from containing an unexpected crisis to firing a defrauder. Kodak can solve their current problem by applying proper controlling. Emphasis on the controlling may help to come out from the current problem. Controlling will not help them to solve the problems totally but it will help partially to make the situation better. The term motivation refers to the psychological process that gives behavior purpose and direction. By Appling this process, managers attempt to get individuals to willingly pursue organizational ob objectives. Leading means managers become inspiring by serving as a role models and adapting their management style to the demand of the situation. The idea of visionary leadership is popular today. Motivation theories are generalization has about the “why” and “how” of purposeful behavior. Job performance is the product of a combination of an individual’s motivation and ability. The individual motivation factors-needs, satisfaction, expectations, and goals-are affected by challenging work, rewards, and participation. A group of motivated employees are the great asset for the organization. Kodak can survive by the motivated employees. Motivating and Leading can be tools to solve the current problems of Kodak. It cannot solve the problem fully but it can be use to solve the problem partially like controlling. ü Performance (Actually getting something – done). Problems are the gap between actual and desired situations. Everyone in the organization needs to be skilled at finding problems and creatively solving them. W. Edwards Deming’s plan – do check – act (PDCA), is an excellent tool for learning through systematic experimentation. Role models and often –told stories of success and failure embedded in the organization’s culture teach vital lessons. Two prime sources of valuable knowledge in this regard are benchmarking and customer input and feedback. All the other skills are for naught if actions are not taken to make the organization perform better. Training and effective communication are key bridges spanning the gap between ideas and skills and superior organizational performance. Kodak can survive from the current situation by stand-in a learning organization. A organization can run their daily operation efficiently through rolling as a learning organization. Previous lesson always helps to run for the future efficiently. Departmentalization means grouping related jobs or process into major organizational subunits because differentiation tends to fragment the organization, some sort of integration must be introduced to achieve the necessary coordination. Aside from the hierarchical chain of command, one of the most common forms of integration is departmentalization. It is through departmentalization that related jobs, activities, or processes are grouped into major organizational subunits. A degree of coordination is achieved through departmentalization because members of the department work on interrelated task, obey the same the departmental rules, and report to the same departmental head. Departmentalization can be use to solve the current problem not absolutely but in some measure. A department knows how to complete the task efficiently. Kodak can departmentalize their total task into different department and it will help to rescue their organization. In Matrix organizations, vertical and horizontal lines of authority are combined in checkerboard fashion. Authority flows both down and across the organizational structure. If Kodak structured as a matrix structure organization then this will help them so solve the existing circumstances. Since matrix structure are not completely ok. It has some disadvantages but it is really workable and can be use presently to run their business operations. To over come the disadvantages of matrix structure by avoiding the unity of command problem. The number of people who report directly to manager represents the manager’s span of control. 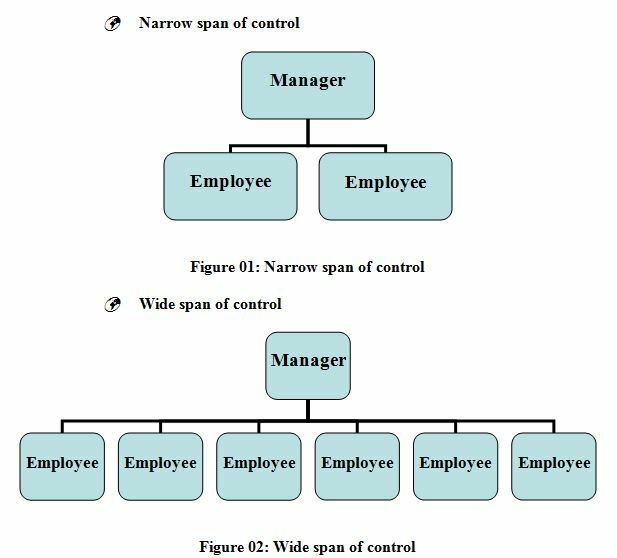 Managers with a narrow span of control oversee the work of a few people, whereas those with a wide span of control have many people reporting to them. Flat organizations (hierarchical levels) have wide span of control. Organic organizations tend to be quite flexible in structure and adaptive to change. Actually, this organizational type is the extreme ends of a single continuum. Pure types is difficult to find, but it is fairly easy to check of the characteristics listed to determine whether a particular organization is relative organic. It is notable that a field study found distinctly different communication patterns in organic organizations. Communications tend to be the participative in the organic factory. Organic structure also will help Kodak to find out its aim. Organic structure helps organization to make its task flexible and well defined. Individuals’ participation opportunity is greater here. Employees’ knowledge levels are broad and professional here. So a group of professionals and learned people will help Kodak to improve the situation. Kodak’s Chief Information Officer and Vice president Kim Van Gelder say, “We need to drive down cost dramatically and drive up growth.” The challenge is to execute on both cost cutting and innovation concurrently. Information Technology”, she says, “is fundamental to both,” and the dual imperative is redefining her role at the company. “It feels like a different job, to simultaneously manage both a decrease in costs and to focus IT across the globe on changing processes and products as we grow “. She is partially right because cost cutting is not the permanent solution of Kodak’s today’s problem. They have to think about the other ways. Cost minimizing is not the exact way to overcome the present situation for an organization like Eastman Kodak Co. It might have some negative impact because it will hamper the efficiency of the organization. Kodak should applied innovation with some other trolls that we have recommended in the previous portion of the report.